Olaplex is a hair ‘bonding’ product, that helps to maintain and repair hair, which has been damaged from chemical processing. Suitable for coloured, highlighted and permed hair, Olaplex is positioned as an innovation in hair care and can rebuild the strength of the hair from within. With 3 steps, Olaplex is initially used in the colouring process at the hairdressers. When I had my hair dyed at Toni and Guy a few years ago, they used Olaplex in the bleach and it helped to prevent as much damage and ultimately meant I had less breakage during the bleaching process. If you’re having your hair dyed at the salon they usually add this for an additional price of around £5-£10 to your colour. You can also get Olaplex 3 (pictured) for use at home. This is used once a week and as a pre-shampoo treatment. The thing to remember about Olaplex is that it’s not a traditional conditioner. You won’t have immediately shinier hair, but you will notice less breakage and stronger hair over time. I’m one of those people who loves immediate results and after the first few uses, there was nothing to note. However, after around 6 weeks I am noticing less breakage, on my dry, brittle, over-processed hair. 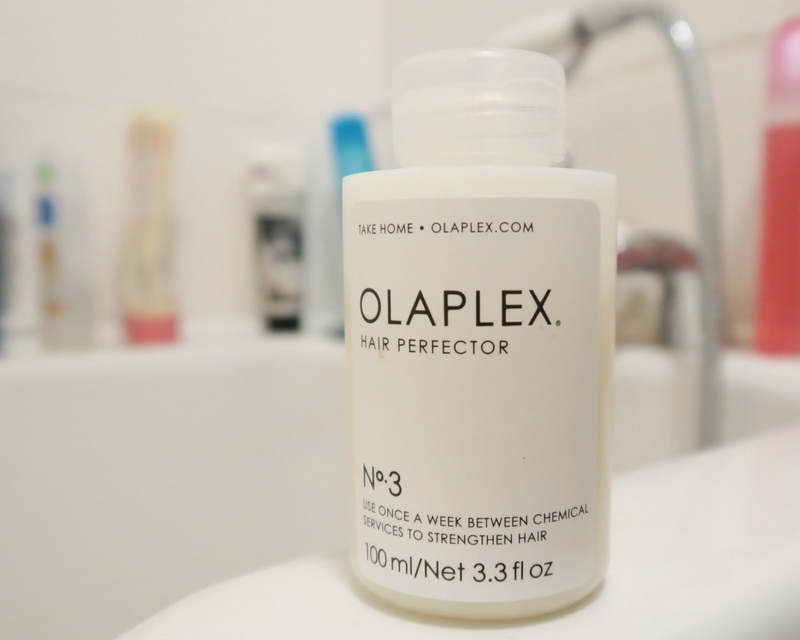 It doesn’t come cheap for the at-home Olaplex 3 treatment. I got this bottle of Olaplex from Notino for around £20. If you are suffering from really damaged hair it is worth the investment, but as mentioned, don’t expect immediate mermaid hair as that’s not the idea of the product and it doesn’t work like that. I have seen a noticeable difference on my extensions though, and the dryness I was experiencing after around 3 weeks of wear with them has *almost* been reversed. There are a lot of brands bringing out products which are claiming to be the same kind of thing as Olaplex. I recently picked up a shampoo and conditioner from a brand called ‘SYOSS’ in Tesco and each product cost £2. After researching the ingredients when getting home, it turns out these SYOSS versions are just full of silicones, which gives your hair a glossy feeling. This isn’t the same as Olaplex, which repairs from within. Silicone coats your hair and these SYOSS ones appear no different or better than Pantene shampoo and conditioner. Whilst you might like the result, the long-term benefits cannot be likened to Olapex. If you want to give the real Olaplex a whirl though, head to Notino to discover more.